In association with Concerts SA and Luthuli Museum, iSupport Music Business brings you bassist Lex Futshane touring KwaZulu-Natal, from February 28 until March 4. He will be performing at Centre for Jazz & Popular Music, The Jazzy Rainbow and The Chairman in Durban and Luthuli Museum in Groutville. Futshane is an internationally-proclaimed electric and acoustic bassist, prolific composer, arranger, performer and educator. This music graduate from the UKZN currently teaches bass and manages a teacher training programme at the Johannesburg Youth Orchestra Company. Futshane is a founder member, composer and arranger of "Bassment" a 12 double bass ensemble comprising of six Jazz and six Classical bassists, a first in Africa. His LEXtet is an exciting ensemble playing his own compositions and arrangements of local and international jazz standards. The band has just released an album of Lex’s compositions titled Innocent Victims and Perpetrators. Apart from touring with the LEXtet, he plays in the Ingqungquthela (Summit) which is a collaboration with renowned saxophonist, McCoy Mrubata. He has toured and performed extensively around the world in countries such as Swaziland, Zambia, Maputo, USA, Cuba, Korea, UK, Germany to name a few. 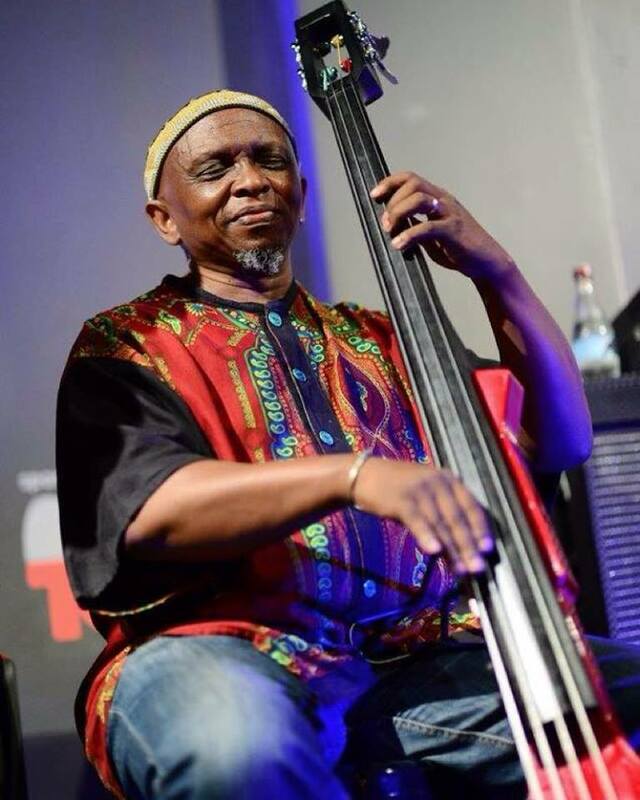 Since establishing himself as a renowned bassist, he has worked with amongst others, Winston “Mankunku” Ngozi, Rashied Lanie, Bheki Khoza, Bheki Mseleku, Ezra Ngcukana, Ulrich Sussie and Brice Wassy. Futshane has performed in many local and international festivals including the Grahamstown Art Festival, Arts Alive, Joy of Jazz, Bath International Music Festival in the United Kingdom, IAJE in the United States of America and a festival in Seoul, South Korea. He played bass and co-arranged many recordings such as Art Gecko by Counterculture, Durban Noise by Jurgen Brauninger, African Tributes by the NU Jazz Connection, Old Blue Balls Is Back by Felema and Before it’s too late by Darius Brubeck. Apart from touring, the LEXtet which comes in different sizes from a duo to a small big band provides music for corporate events inside and outside the country. Amongst others, the LEXtet played at the launch of iBurst, Telkom tower in Tshwane, Cell C, BMW, Linde, Climate Leadership Awards, Telkom launch in Zambia & Sizwe Medical Fund as well as for patrons at private venues. For his tour in KwaZulu-Natal, joining Futshane will be Zoetheseed on vocals, Neil Gonsalves on keys and Sbu Zondi on drums. March 1 at 22h00: Lex Futshane at The Chairman, Mahatma Gandhi Road. General entry R150. March 2 at 19h00: Lex Futshane at Luthuli Museum, Groutville. (Doors open 18h00). General entry R30. These concerts are part of the Concerts SA Venue Circuit that aims to foster a love and support for live music in our communities, as well as anchor small and medium sized venues in urban and rural Gauteng, KwaZulu-Natal, and the Western Cape. Concerts SA is a joint South African/Norwegian live music development project housed within the SAMRO Foundation. Concerts SA receives financial, administrative and technical support from the Norwegian Ministry of Foreign Affairs, SAMRO, the SAMRO Foundation and Concerts Norway. Working with musicians, promoters, venue owners and audiences, and providing support to the sector through research and skills development for music professionals, the project aims to build a vibrant and viable live music circuit in southern Africa. It also aims to develop an interest in and appreciation of live music by showcasing music performances and conducting workshops at schools.